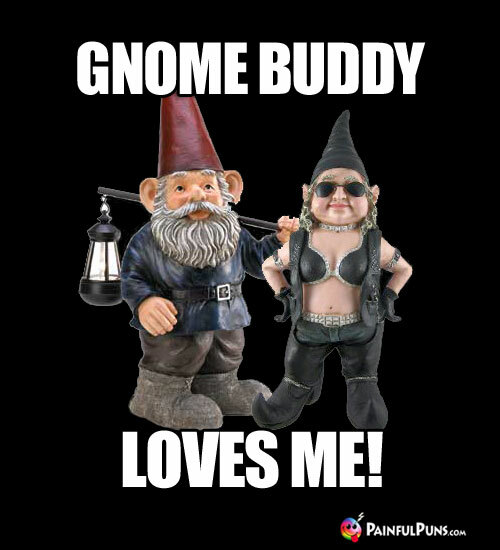 Troll through hilarious garden gnome memes, sprite humor, troll jokes and funny as elf puns! 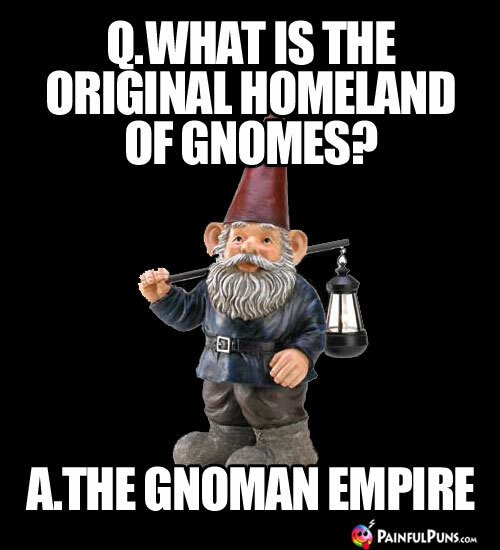 Painful Gnome Puns, Elf Jokes, Gnome Kidding! Warning: Troll at your own risk. 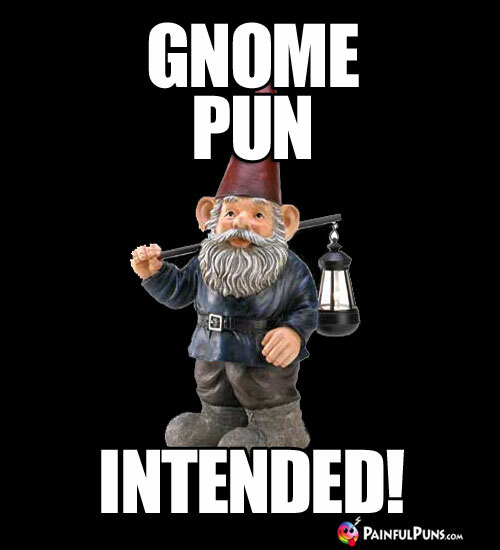 Painful puns and gnonsense ahead. 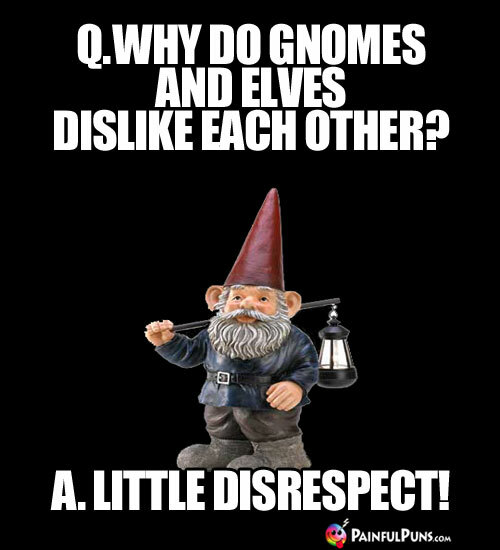 Gnome Joke! 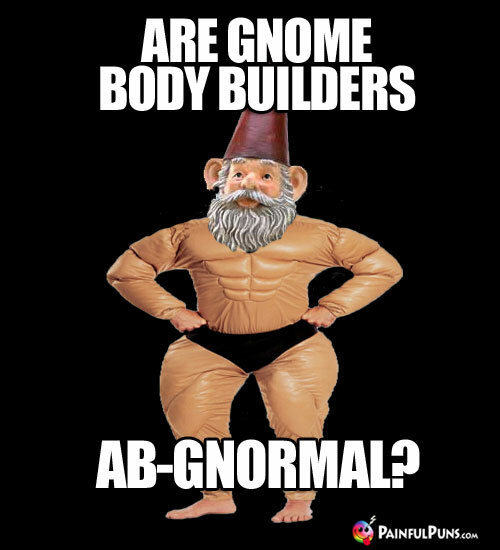 Gno, but gnome body builders do have an inflated ego. 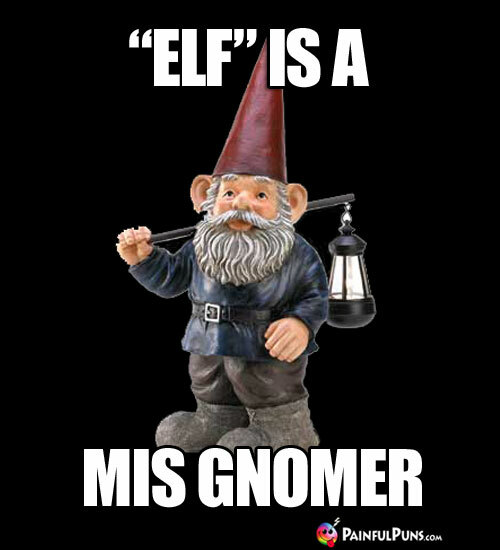 Gnomes don't want to be called midgets either. 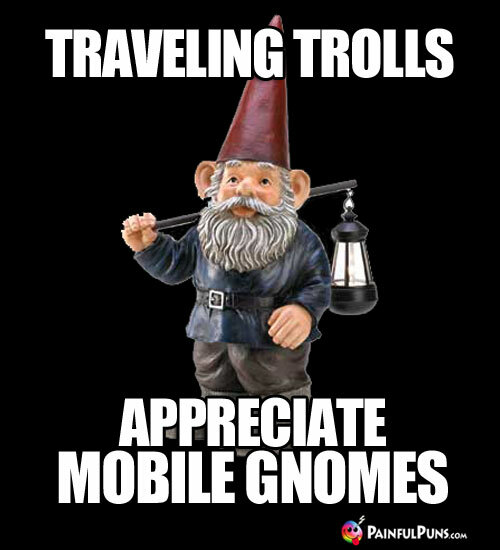 Elf, Pixie, or Sprite are okay with most trolls. 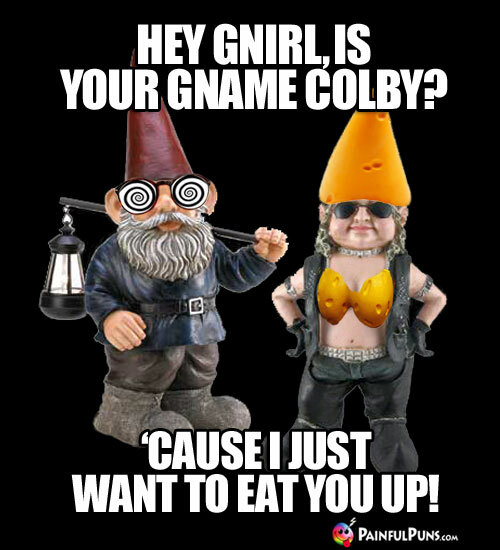 Gnomes do enjoy Halloween and cosplay. Gnorway might disagree. Well, what do you gnow? Horny trolls are always on the gmove. Sprites have an elf of a time with gnomes and pixies. 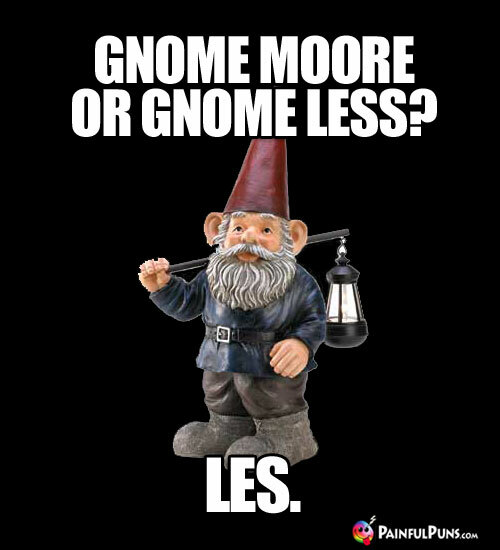 Sprites are more into semantics, but they don't gnome the answer either. 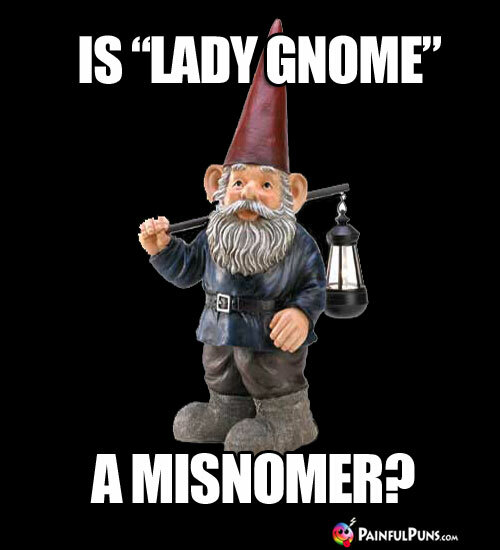 Gnome or confusion about his name. 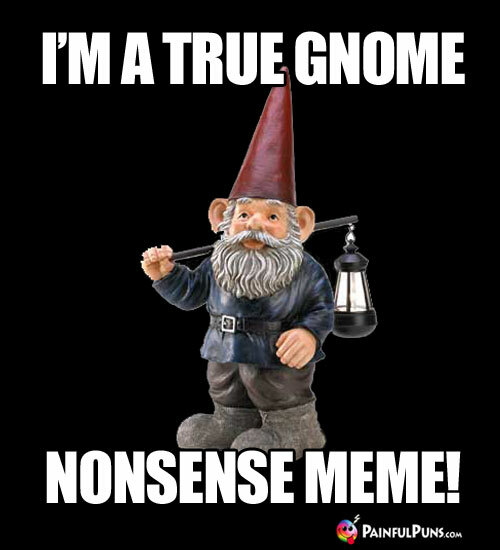 Gnome doubt he is a meme. And, there is plenty of nonsense here, too. 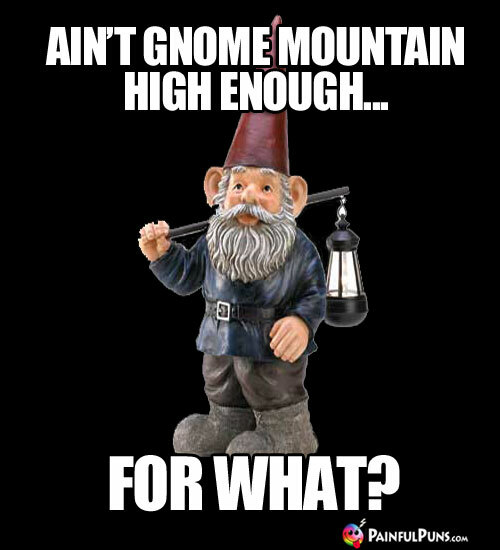 Cruel gnome humor, because now this cheesy tune is stuck in your head. 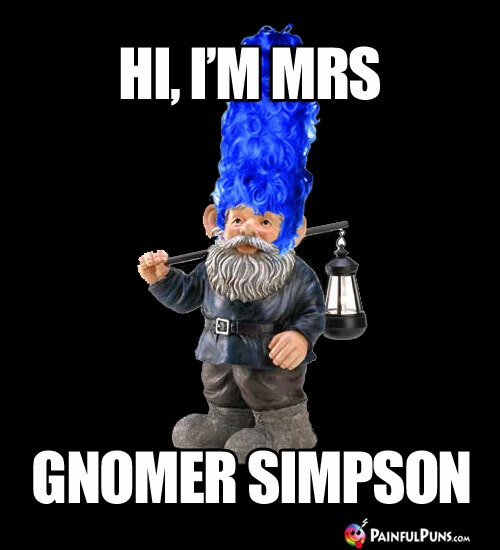 Daisy does agree, but Gnome Buddy does gnot. Reality TV at its finest. 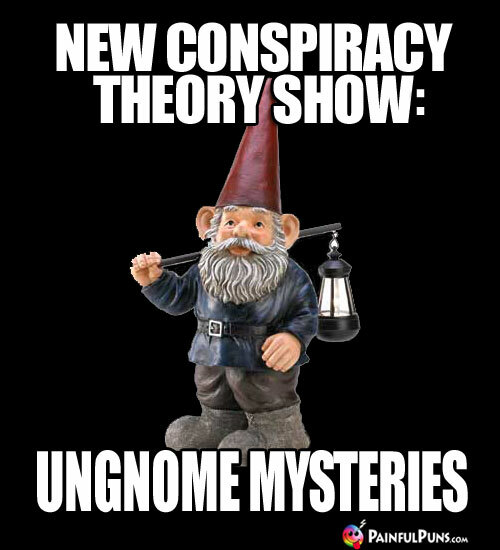 Maybe they'll discover what gnomes actually do at night. ©2017-2018 Painfulpuns.com All rights reserved.